Ventilation and induced air-cooled heat exchangers (air coolers), both horizontal and vertical applications include processing plants and refineries, gas compression and condensation, engine cooling, power generation and utilities. We also have a post marketing department that provides premier manufacturing, spare parts, repair and overhaul services for all industrial air coolers. Evaporative Cooler can cool in the hottest conditions. 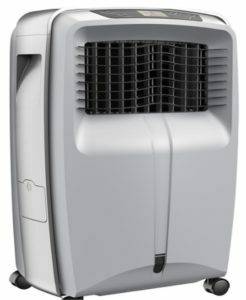 This unit can cool some larger rooms just through the use of passing air through water. For maximum cooling experience this unit can easily be transported form room to room.